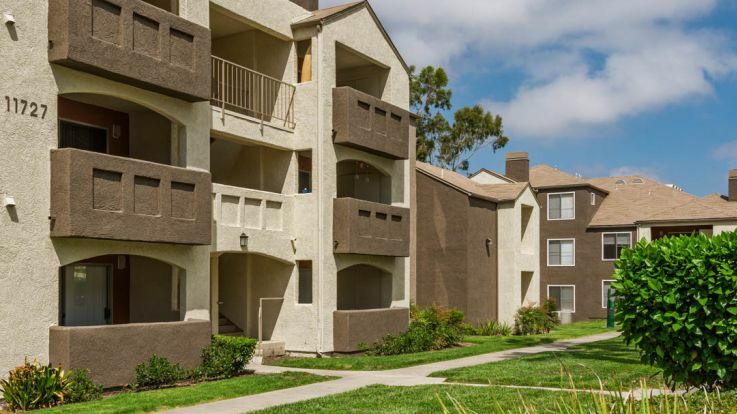 Rancho Bernardo apartments are situated in a beautiful area of San Diego consisting of rolling hills and canyons. The neighborhood is 20 miles north of Downtown, which can be reached by jumping on the nearby Escondido Freeway (I-15) or via public transportation. Our residents love the area for its temperate climate, panoramic views and many outdoor recreational opportunities. It is also the location of headquarters or local facilities for Sony, Hewlett-Packard, Eastman Kodak and BAE Systems. Our Rancho Bernardo apartments are just eight miles from the ocean, which means it is just a short drive to destinations like Torrey Pines State Park. It features a 3-mile beach with a lagoon, lifeguards and shower facilities. A separate section offers visitors a chance to hike or dirt bike through a coastal wilderness that includes fir trees and bluffs overlooking the ocean. The famous Torrey Pines Golf Course is also located here. Our Rancho Bernardo apartments are ideal for golfers of all ability levels. Resorts and private clubs, as well as public courses, abound in the area. They include: Maderas, Stone Ridge, Bernardo Heights, Oaks North and Vineyard. Hikers and bikers can hit the trails at Elfin Forest Recreational Reserve and Black Mountain Open Space Park. Shoppers are close to Carmel Ridge Plaza and the Plaza Shopping Center. Families will appreciate their proximity to Poway Unified Schools like Highland Ranch Elementary, Turtleback Elementary and Rancho Bernardo High School. 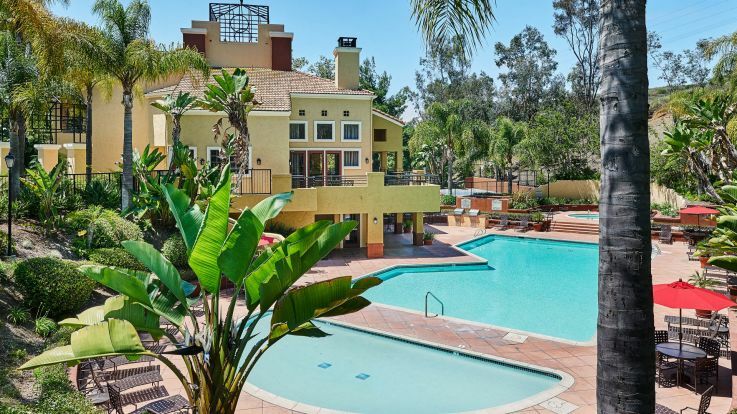 Our Rancho Bernardo apartments are luxuriously appointed with fireplaces, vaulted ceilings, air conditioning, walk-in closets and private balconies with gorgeous views. The kitchens are fully-equipped and newly-remodeled. Some apartments also feature dine-in kitchens and dining rooms with hardwood floors. Property amenities include heating swimming pools, clubhouses with fitness centers, gated access, covered parking and attentive on-site management. Equity's Rancho Bernardo apartments offer the best of SoCal living. And if these properties do not meet your needs, please consider our other great apartments in Del Mar and Rancho Penasquitos.